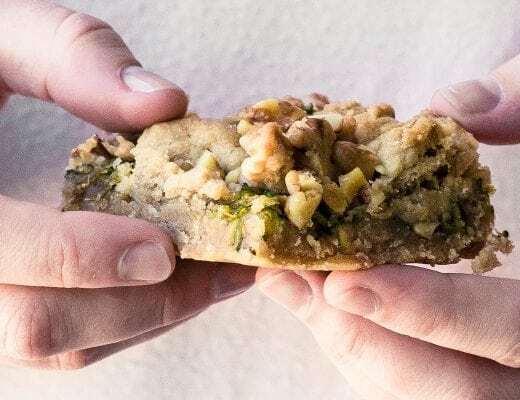 * Today I’m teaming up with Pavilions and their O Organics® line of USDA-certified organic products to bring you a delicious way to get through the cold and flu season this year. Partnering with great brands is one of the ways tvfgi keeps the delicious coming, thank you for supporting both of us! I’m so excited about today’s post because I’m sharing some of my best secrets for making it through the upcoming cold and flu season unscathed. This is my favorite time of year, and I don’t want to miss out on a single day being sick. 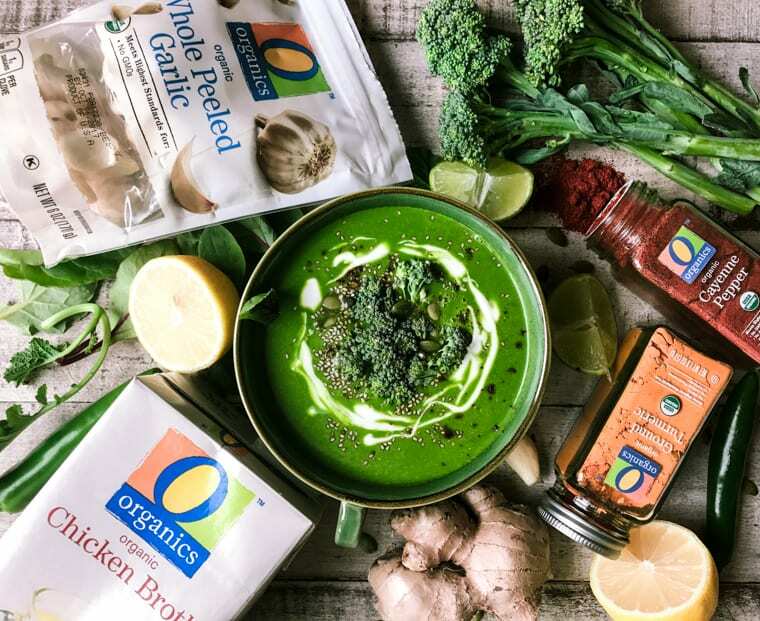 I take every precaution to stay healthy, including getting my flu shot the minute they’re available, washing my hands a LOT, buying healthy O Organics products, and making this gorgeous immune boosting soup often. 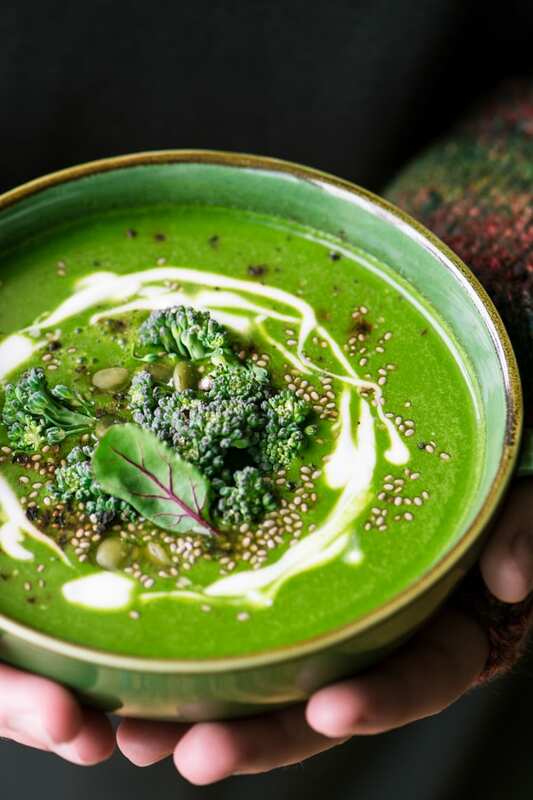 During the fall and winter months most of us don’t have the luxury of stopping by the farmers market to stock up on fresh greens and veggies, so there’s less motivation to create vibrant healthy meals. 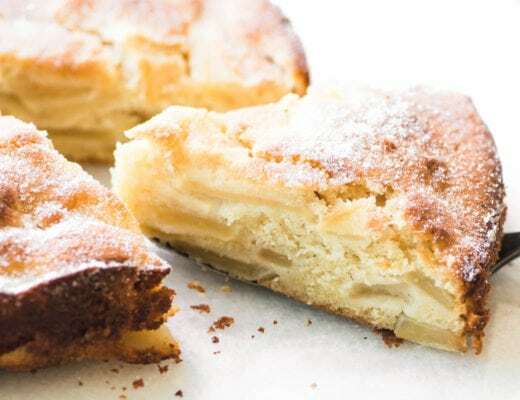 Our lives are busier, too, and we’re eating more comfort food, which means lots of white flour, cheese, sugar, and fat. That’s where this soup comes in. 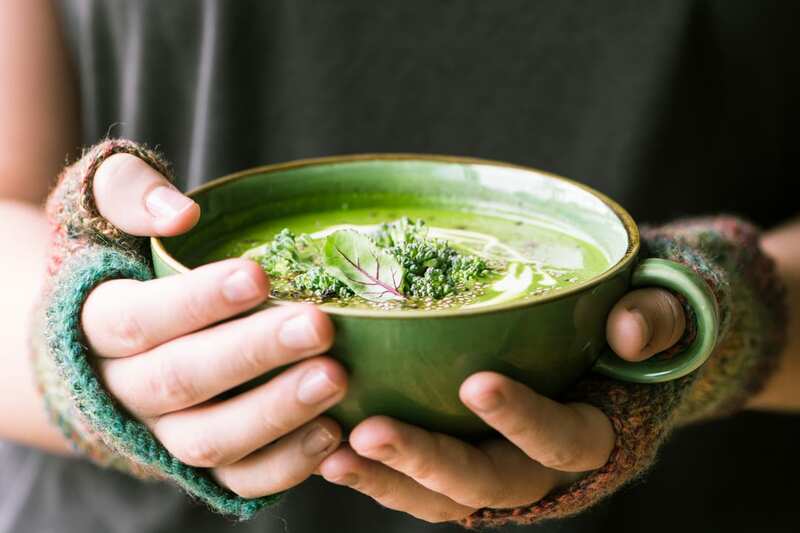 I’ve created the recipe specifically to target and strengthen the immune system ~ every ingredient in this magical soup has a job to do to help keep those dreaded germs at bay. And I’ve made it with super convenient O Organics products, which are available in my area exclusively at Pavilions stores. chicken stock: grandma was right on, chicken soup can heal all kinds of ills. It provides hydration, clears clogged passages, and eases cold and flu symptoms. spinach and other dark leafy greens: they’re high in Vitamin C and antioxidants to fight infections. lemon juice: citrus fruit is high in Vitamin C, which boosts the immune system by helping to produce white blood cells to fight off infections. ginger: fights inflammations and toxins. turmeric: an anti-inflammatory spice that’s been used medicinally for centuries. black pepper: like cayenne it calms inflammation and promotes sweating. pumpkin seeds: high in Zinc for strengthening the immune system. coconut milk: provides Vitamin C, anti-oxidants, and energy. yogurt: has germ fighting probiotics. mushrooms: antiviral, antibacterial, and anti-oxidant. carrots: the Vitamin A helps build immunity. cauliflower or Brussels Sprouts, rich in anti-oxidants just like broccoli. That’s big. Toxins can build up over time in the body and wreak havoc with our health, so it’s just common sense to try to avoid them. Pavilions O Organics line offers hundreds of products, in every aisle, right there in my regular grocery store and all at a great value, so I don’t have to think twice. TIP: I’ve started to buy a few organic products every time I shop to slowly build up my inventory. It doesn’t have to happen all at once, but every little bit helps. I like to use my Vitamix to make this soup because it’s powerful enough to really puree everything into a silky smooth soup and even heats it up in the process. Talk about convenient! You can use a regular blender or food processor, as well, and then heat the soup on the stove, but cook it just long enough to heat it through, you want to retain all those nutrients. 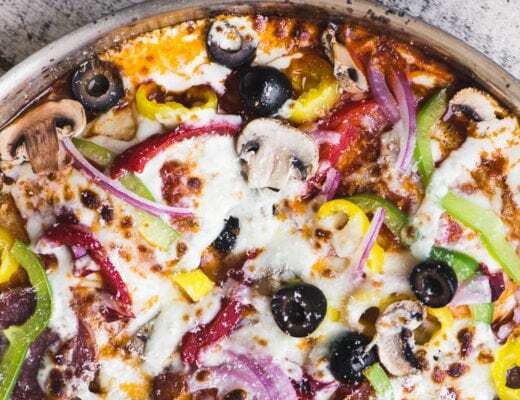 That vibrant color lets you know you’re putting something good into your body! My final secret for surviving cold and flu season is my favorite new obsession ~ grocery delivery, have you tried it yet? The box arrives at my door at the time I specify, everything is perfect, (no dented cans or ugly apples ) and they even keep me informed via text message so I know just when my groceries will arrive. I’ve done it a few times recently and I can already tell I’m going to use it a lot this winter. It’s been a lifesaver when I’m super busy, or somebody in the house is sick, or frankly when I’m just tired and don’t feel like going out. There are lots of options for grocery delivery these days, it’s the hot new thing and everybody is trying to get in on the action, but I like to stick with my regular Pavilions store because I know it so well, and I trust the quality I’ll get. 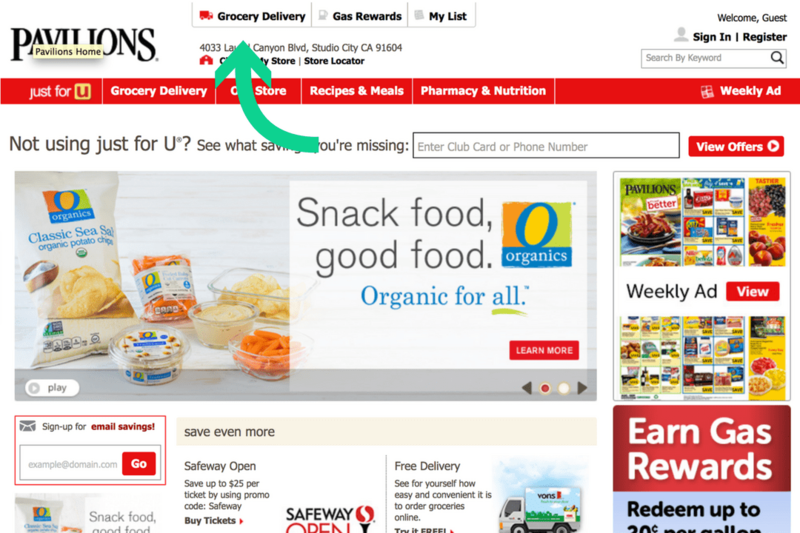 You’ll find a delivery link at the top of the Pavilions website ~ or depending on where you live, your local Albertsons, Vons, Tom Thumb, Randalls, and Safeway. 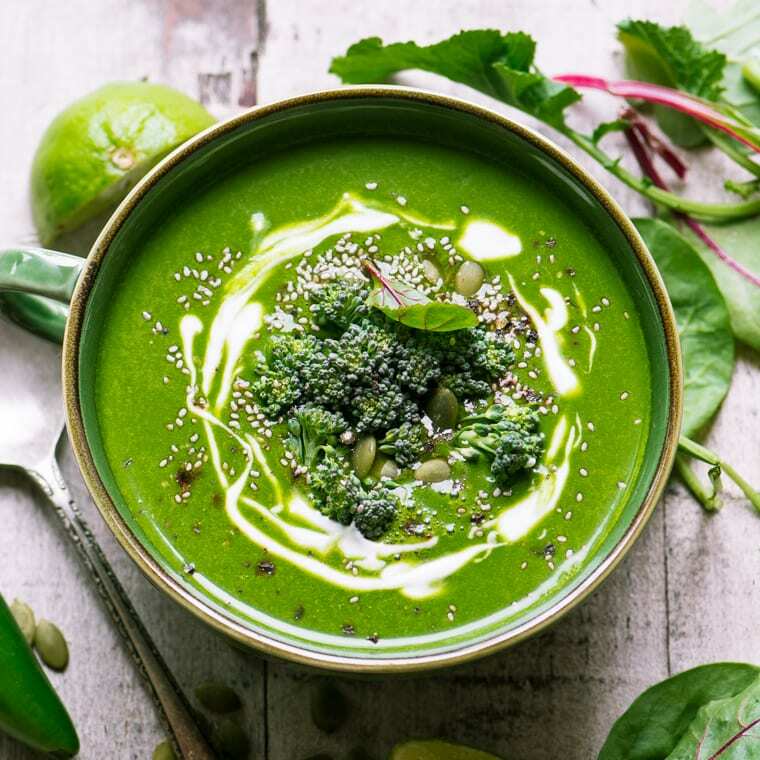 The Green Goddess Immune Boosting Soup is only one of lots of healthy soup choices on the blog ~ my SLIMMING DETOX SOUP and my WEIGHT LOSS SOUP are both helpful before and after the holiday season when you just need to press the re-set button and get back on track. My RADIANT BOK CHOY SOUP makes the most of turmeric’s magical healing properties, and my ROASTED WINTER VEGETABLE SOUP is packed with nutrients and has the most gorgeous crimson color. 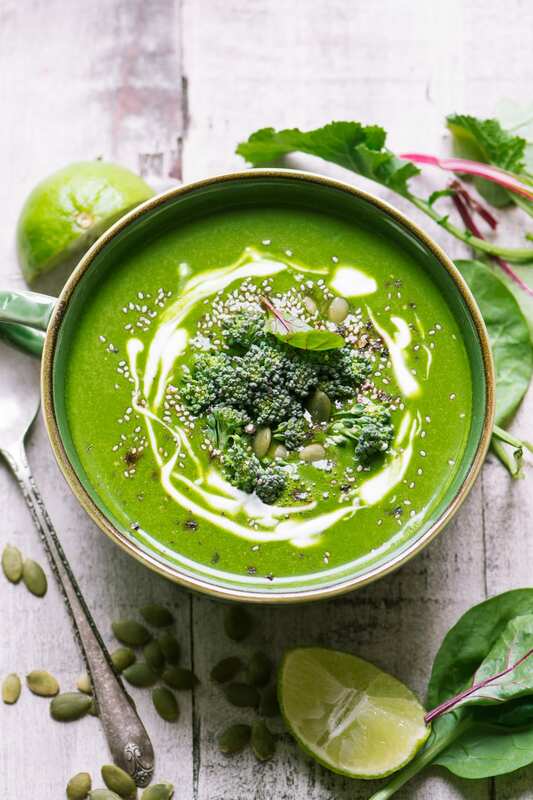 Use any dark leafy green as the base of your soup ~ kale, Swiss chard, watercress, or beet greens would all be healthy choices. 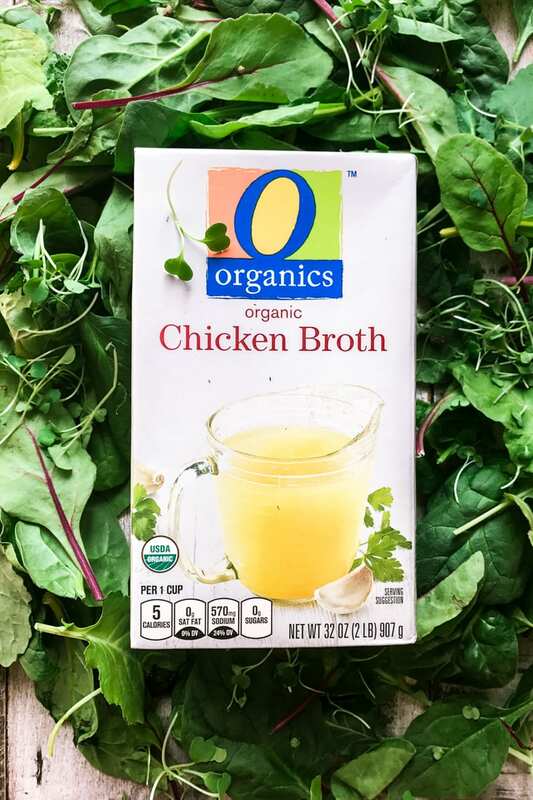 For a vegan alternative, use vegetable broth or water instead of the chicken broth. 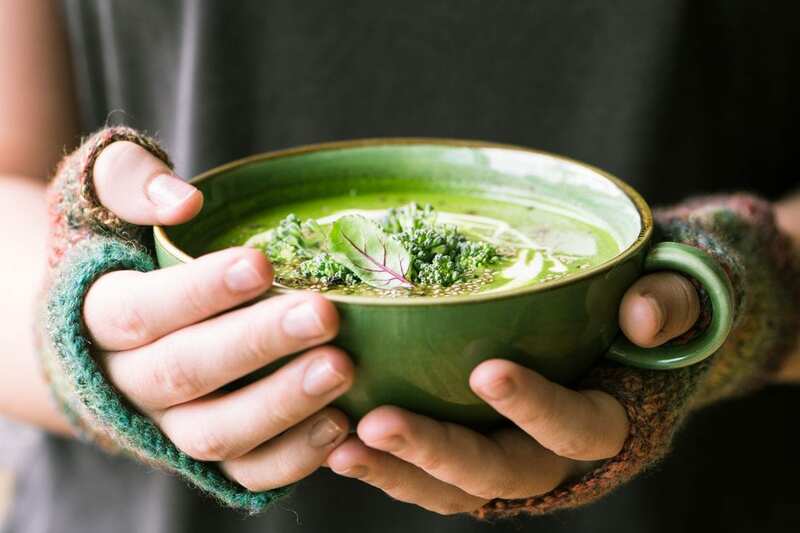 Don’t forget to pin this Green Goddess Immune Boosting Soup ~ you’re gonna need it! just wondering if I use regular blender do I steam the veg first before put it in blender or I cook the soup after I blend all of it? You could do it either way Ellen, but I would probably heat it up after blending. There are no heating or warming instructions? A high speed blender will actually heat the soup Paul, but if you don’t have a high speed blender you can blend or process the soup and then heat it up on the stove. I loved this soup! 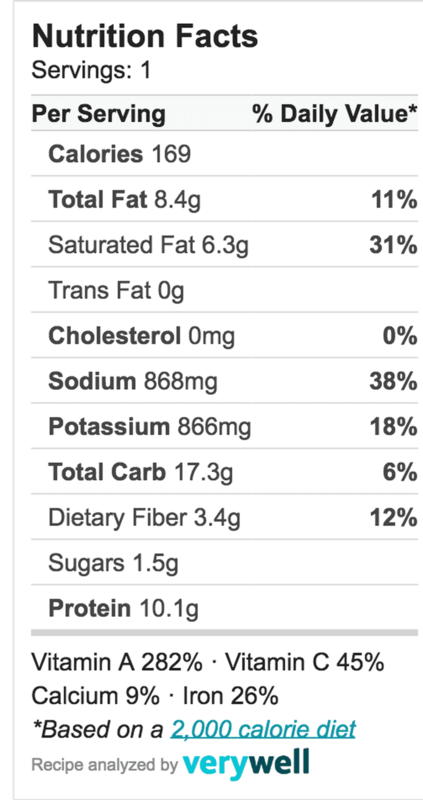 I was a little apprehensive at first but it was delicious and definitely also nutritious. I added some broccoli and some shiitake mushrooms for garnish. Is it canned coconut milk, or coconut milk from the carton? Great question…I use the canned, Noelle. Thanks for the heads up Julie, I really don’t like this new trend for nutrition labels on blog recipes, the apps that spit them out are so unreliable. I’ll run it through again. Their Organics line is a go-to for me! And this soup will become a go to this fall and winter, too. What a colorful way to stay healthy! I am so making this! I’ve been fighting a nasty cough for a few weeks now and I’m over it. heading to the store! Gorgeous soup Sue! And love all the ingredients in this one – it’s our kind of soup and perfect to make all winter long! Holy cow, Sue, this recipe, these photos, those colours and flavours and wonderful nourishment – a total home run! You never fail to surprise me with your unending creative, girl! Perfection! I just got back from a whirlwind trip flying from coast to coast then spending 10 hours driving in a car, in 2 days. I’m exhausted and crave healthy food. This recipe is calling my name to boost my weary spirits! Amazing photos by the way! Wow, it does sound like you need a pit stop Christina ;) thanks for visiting, and welcome home! This looks so gorgeous! I want a bite! VERY timely as after a road trip I have been feeling a little depleted. This looks incredibly delicious while also being so healthy! HOLY BEAUTIFUL PHOTOS AND SOUP!! This is seriously gorgeous Sue…I can’t wait to slurp all the healthy goodness this week! I am saving this soup for the cold months! With three kids there are always illnesses going around so we will need it. Absolutely love this Sue. A keeper for the winter months for sure! What a great soup. I need this weekly. I always buy Organics whenever I can find them. Luckily they are around here quite a bit. Thanks for the nice recipe. Hi just wondering if you steam/heat many of the ingredients before blending or after. Thanks! Hi Kristie ! I don’t steam or cook anything first, I add it raw to the blender. If you use a high speed blender like a Vitamix it will heat up the soup as it blends, because the motor is so powerful. If you use a regular blender or food processor, i would heat the soup briefly on the stove or in the microwave, just enough to get it hot, but that’s it. That way you’ll preserve all the nutrients. This soup looks and sounds delicious! I love the addition of the turmeric, one of my favorites! I definitely am giving this a try! Who doesn’t want to stay healthy this time of year? What a gorgeous bowl of soup! And it’s packed with SO many goodies! I love that you took a smoothie and turned it into something cozy and savory. This is right up my alley. Oh my my my! It’s so pretty! The bright green color just glows. Pinning! I’m going to make the soup- I’m curious about all those flavors together- sounds delicious. Also I clicked on the Pavilions link and discovered I can get a free first home delivery and $20.00 off first order! Sounds good- thanks Sue! You’re going to get hooked on delivery Cathy! And they send me emails all the time for free delivery, and other good deals, so they are really trying to make it super affordable, I love it. First of all your photos are gorgeous! 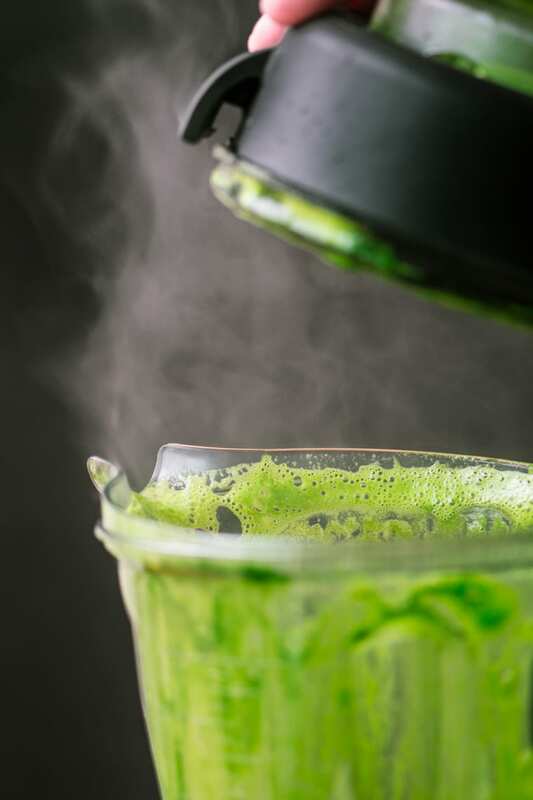 My kids love green smoothies…so I’m sure they’ll love this soup too! Thanks so much Aimee, it was fun to photograph this soup, for sure. I think this might be a fun way to get some healthy greens into your kids this winter! Sue, that is the singular most beautiful bowl of soup I have ever seen. I am sitting here scrolling up and down just basking in its beauty! Haha Tina, thanks so much, I was hoping that it would have that effect :) I’m now officially obsessed with green soup!! I could gaze at this bowl of deliciousness all day Sue – absolutely beautiful. I will have to try these products, just found out they are available close to my home at Safeway. Here’s to staying healthy all winter! 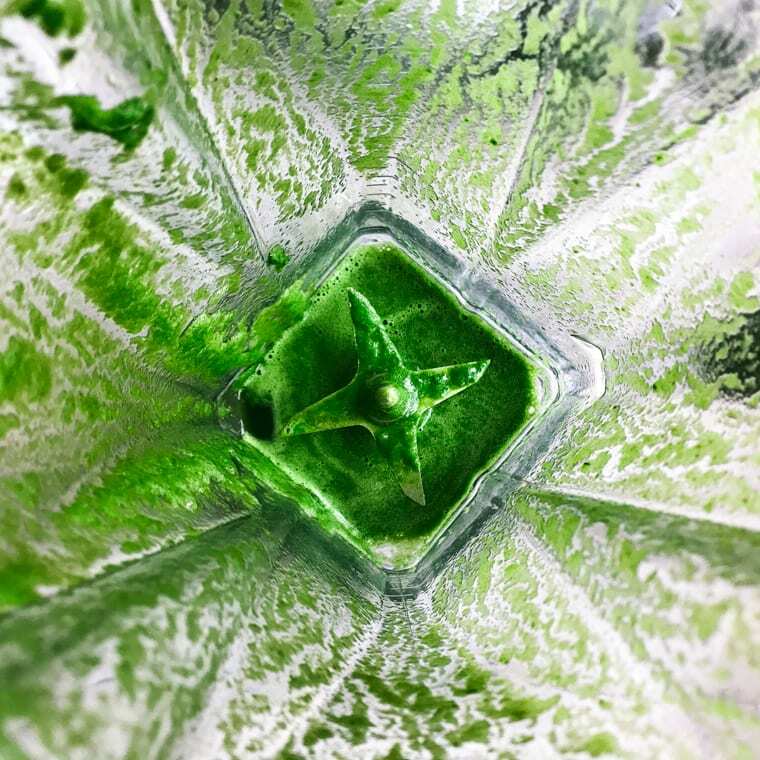 I have never seen a sexier green than this, Sue. YUM!